Rogue River Basin: Shade produced. Nutrients reduced. The Rogue lives up to its name, wildly carving its way from the Cascade Range to the Pacific Ocean. In 1968, it was dubbed one of the first eight “wild and scenic” rivers in the country. Unfortunately, a national designation does not make it immune to issues common for a working river. 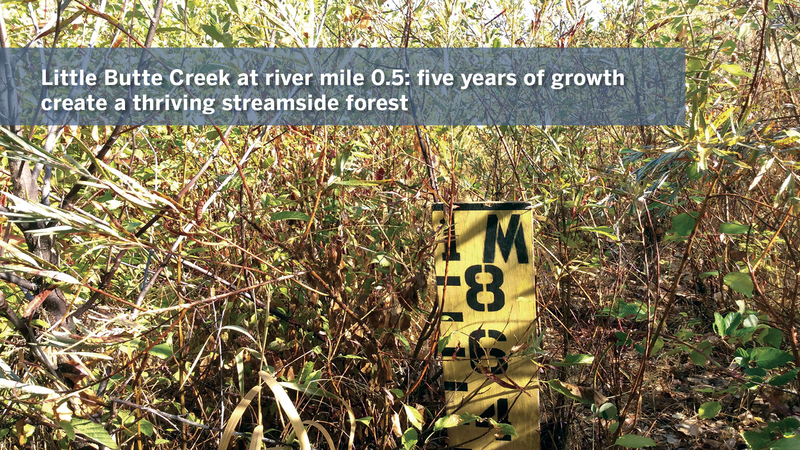 Due to the straightening of stream channels, the removal of large wood, urban growth, and degraded streamside vegetation, habitat has decreased along both the river’s main stem and its tributaries. 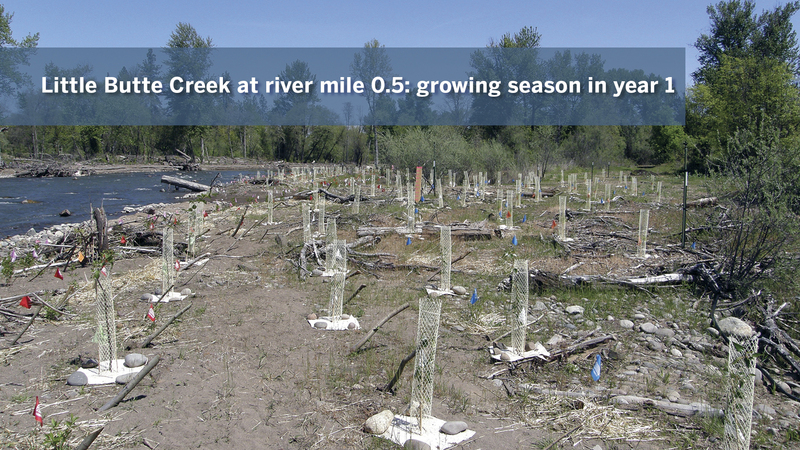 Partnering with the City of Medford, the Bureau of Reclamation and dozens of other local entities, The Freshwater Trust (TFT) has taken steps to improve the Rogue by planting streamside buffers and building large wood structures. Over the last five years, nearly 90,000 native trees and shrubs have been installed. 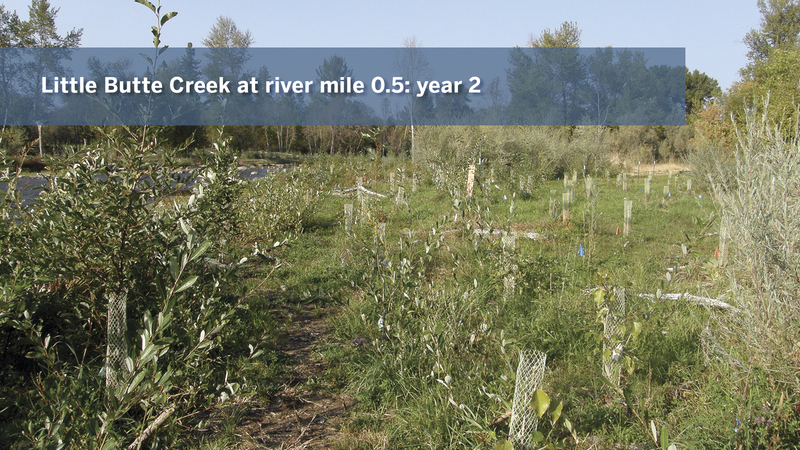 The shade produced by the plantings ensures the temperature is more hospitable for native fish and helping the City of Medford meet its temperature requirements under the Clean Water Act by offsetting the warm water discharged by the wastewater treatment facility. In addition to shade, the newly installed streamside buffers absorb more than 100,000 pounds of pollutants every year. By working with private landowners and the Bureau of Reclamation, we’ve also successfully installed 137 large wood structures in key places we know fish will use them most. 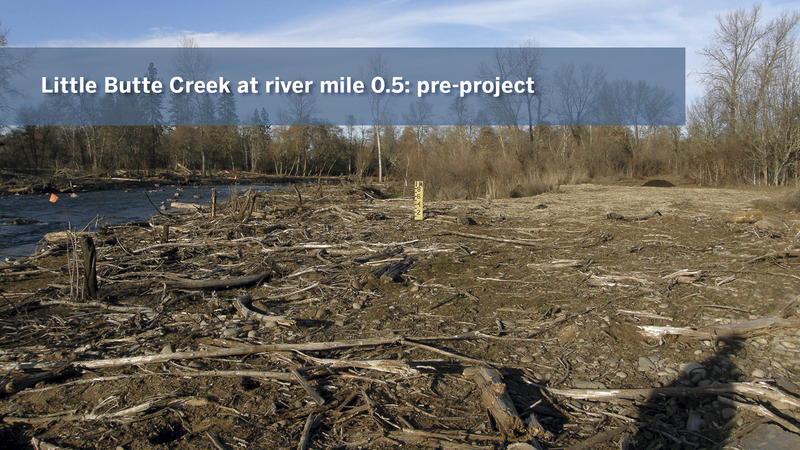 “The Rogue is a perfect example of entities with different motivations coming together to improve a local resource,” said Eugene Wier, restoration project manager. 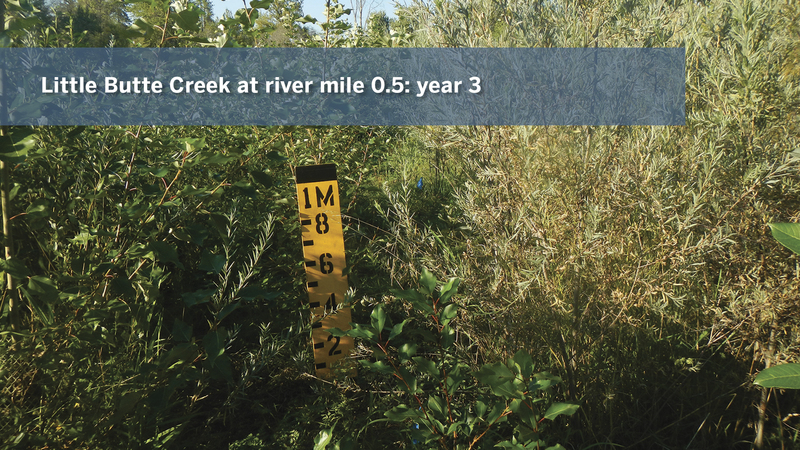 Six of the 17 projects TFT has in the Rogue basin are along the 17-mile tributary of Little Butte Creek. 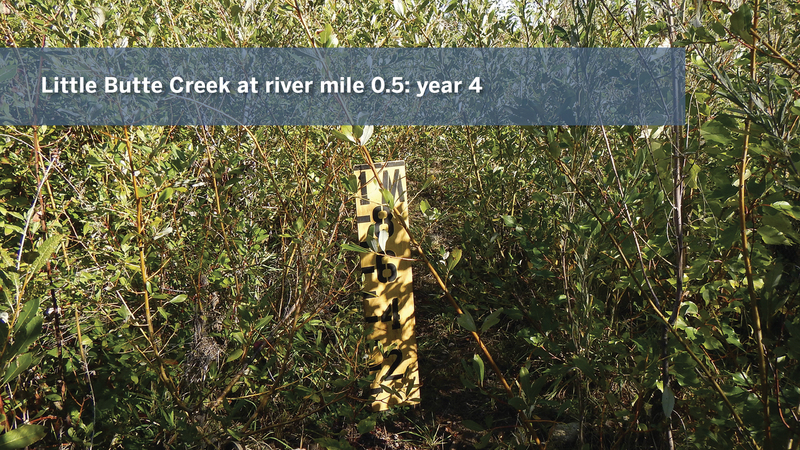 In 2011, TFT planted nearly three acres of streamside vegetation in Denman Wildlife Area, a 1,900-acre area of wetlands, grasslands and woodlands running along the creek. Five years ago, when placed in the ground, the willow, dogwood, ash and alder were barely a foot tall. Today, they’ve grown into a thriving forest. Twenty years from now, the site will be responsible for blocking 14 million kilocalories of solar energy from impacting the temperature of the creek. To supply the plants for the project, TFT contracted with Plant Oregon, a local nursery in the rural town of Talent. According to owners Dan and Dave Bish, TFT is one of their biggest customers.